Online Multi-player could be pay to play on PS4? Playstation was going strong at the Sony press conference today but unfortunately there was a down side to the parade, thanks to Playstation's recent tweet regarding online gameplay. Not wanting to jump any guns just yet but this could possibly mean that PS Plus is exclusive to Online multiplayer. Which wouldn't be such thrilling news seeing as Playstation's online was free, doing this would well be a step backwards. Hopefully this is just a big misunderstanding, thoughts? 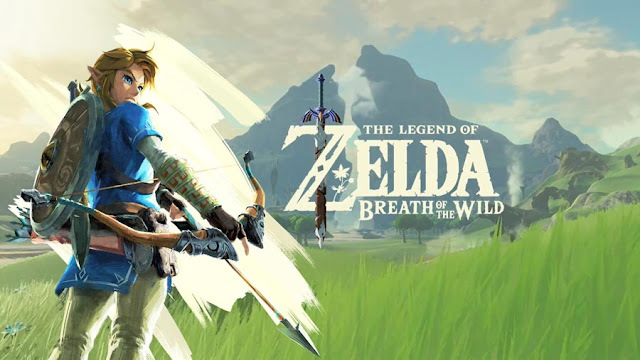 Disappointing, but at least it comes with the added plus benefits and no drm or used game restriction. 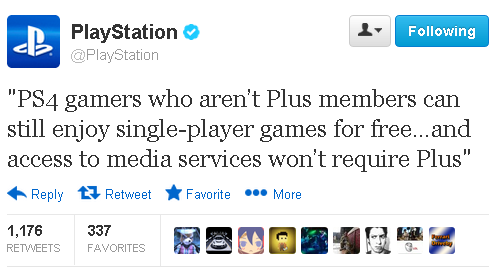 I know PS plus is a good deal, but this is disappointing. Well I'm not too happy about that, but as long as Plus keeps giving me a good deal, then I might find it hard to complain. I still don't like it, but at least my money would feel well spent. If that's true I'm disappointed. However, it's not enough to make me not get a PS4, considering Sony's doing everything else right.